Hi, I'm Rob. I have many years of automotive repair experience across all makes and models in both dealership and independent shop environments. I look forward to servicing your vehicle and giving you the highest quality customer service experience possible. He is very professional- I would be proud to have him work for me. You won the lottery when you found him!! Rob came to check the car without any tool except a computerized diagnosis tool. He said he did not bring any tool to fix the car when I asked. I had a brand new battery but he did not want to connect it to the car himself, said it was against the company rule. So, I did. He spent most of his time on 50 point inspection and finally showed me the blown fuse from the battery terminal as the main reason the car did not crank but sounded a click. He spent about 30 min with the car and told me he had to leave as he got no pay for staying longer. He forgot to close the hood when leaving. Rob was awesome. Very convenient! Rob was great! He came on time, was prompt in communicating with me in advance of our appointment. He allowed me to watch while he was at work, and took the time to explain to me what he was doing, and what he was looking for. Great experience, extremely competent, extremely courteous and overall excellent service. Would definitely recommend Rob to everyone out there. Rob was awesome!! Came on time, with proper tools and knowledge. Took time to explain everything to me and show me. Will definitely request him again. Rob was very professional. I have already made another appointment for him to change my brakes. Rob was very thorough. He explained everything well and educated me on my brake pads. Rob was very knowledgeable and efficient. Would recommend him to everyone. Rob was on time and performed the job in the prescribed timeframe. He gave me feedback and recommendation on the parts I bought and also performed a thorough check on my car. 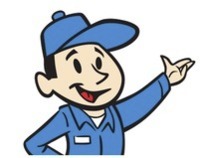 I was very happy with his service and would have him work on my car anytime. On time arrival. Very friendly. Explained about the repair and detailed about the checks and it's results. Highly recommended. Great service, rob explained all of the procedures and we ended up finding a leak that he will address later. Honest, upfront, excellent!